The Golden State Warriors hired TV analyst, Mark Jackson, on June 6th, and now in November, he still remains an unproven coach. The lockout diminished some teams’ ability to truly find their new identities behind new coaches. The Warriors are one team in particular that needed a short lockout and a longer offseason, in order to adapt to a new coach and a new style. Because of this, no one really knows what type of coach Mark Jackson will be, what plays he will create, and how he will make this team win. Mark Jackson has a huge personality with great charisma, but he also is very smart, analytical, and confident. How will his persona transfer to his NBA coaching duties though? Will he be able to command respect and authority while still maintaining his comedic presence? 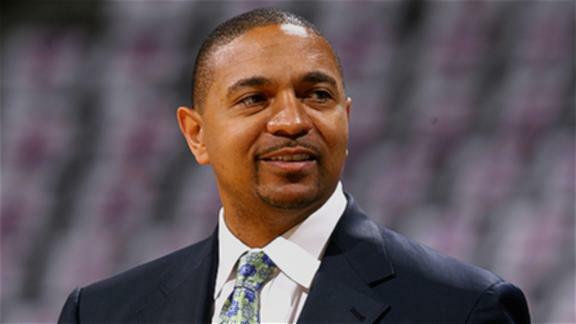 All we can know for sure about Mark Jackson, is that he will be a confident, but calm leader. Based on an interview that Mark Jackson did with Comcast Sportsnet Bay Area reporter, Matt Steinmetz, he claims that he is going to go about his job by respecting his players, while still holding them accountable for their actions on and off the court (read part 1 of the interview here and read part 2 of the interview here). Jackson claims he will try to maintain the “running” style of play that the Warriors have employed for the past 3 or 4 seasons, but he still has his own playbook that he will enforce. He has kept a few of the plays from last season, but the rest has his “DNA all over it.” Mark Jackson has worked with or played for some very influential coaches, such as Jeff Van Gundy, Larry Brown, Pat Riley, Jerry Sloan, Lenny Wilkens, and Lou Carnesecca, just to name a few. Because of these impressive coaching influences, Jackson is bound to emphasize defense, instill a fierce sense of competition, and ultimately, having a winning mindset. Just because Jackson was coached by the best, doesn’t necessarily mean he will be as effective as a coach as his mentors. If Jackson wants to be as successful as his previous coaches, he will have to implement an iron-clad defensive system. 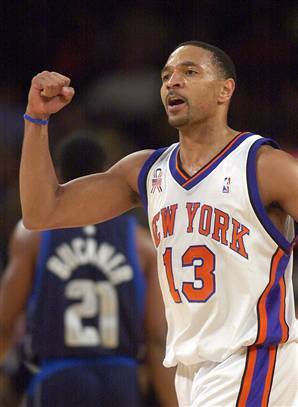 Mark Jackson was a successful point guard in the NBA for 17 seasons while playing on many winning teams. Jackson played on playoff teams for 14 of his 17 seasons. He knows how to win, and he knows that it all starts with defense. Right now, the Warriors don’t have the personnel to become an elite defensive team such as the Celtics or the Spurs, but Jackson can either instill a strong team defense, or he can attempt to acquire more defensive-minded players during free agency. Jackson will most likely do a combination of these two plans. Jackson has been around the NBA so long that he knows the players in this league extremely well. He will know which players to target and which players will be dedicated to improving this team’s defense as a whole. As a commentator, he was able to see every team play and then he could analyze their systems. Based on this analysis, he will be able to pick and choose what defensive schemes work best from each team and then apply it to this current Warriors team. In addition to his individual expertise, Mark Jackson has two of the best assistant coaches in the league on his side. 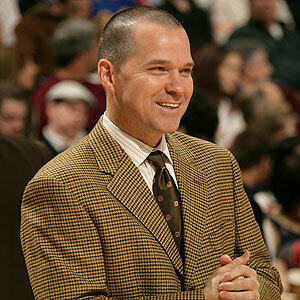 Michael Malone (who was a candidate for the Warriors head coaching job) is the head assistant coach and he was previously the assistant coach for the Cleveland Cavaliers during the LeBron reign and for the New Orleans Hornets last season. Malone could be a head coach for any NBA team just based on his experience and success. He was the mastermind behind the Cavs’ defensive scheme, which was so successful. In addition to being a defensive guru, he has helped coach one of the league’s best point guards, Chris Paul, and this will for sure help in mentoring Stephen Curry this upcoming season. Another asset to the Warriors coaching staff is Pete Myers who has been an assistant coach for the Bulls since 2001. He has also interviewed for head coaching positions and is known around the league as an impressive coach. With these two reliable coaches on his side, Mark Jackson should have all the knowledge and determination to lead the Warriors towards becoming a playoff team again. Mark Jackson has a plan. He won’t let many people know the specifics and his players don’t even know what it is yet, but Mark Jackson knows how to win in this league. He has no coaching experience, which can be a little concerning to some Warriors fans. However, Mark Jackson knows how to be a leader. Being a point guard for 17 seasons in the NBA is an impressive and rare feat, and not many players have the strength or talent to accomplish something like that. He possesses all the qualities that a leader and, more specifically, an NBA coach must have in order to be successful. He’s intelligent, perceptive, respected by his peers, determined, and a hard worker. In addition to his personality and his skillset, Jackson has the immense support of his coaching staff, the Warriors ownership, and his previous co-workers, teammates, and coaches. 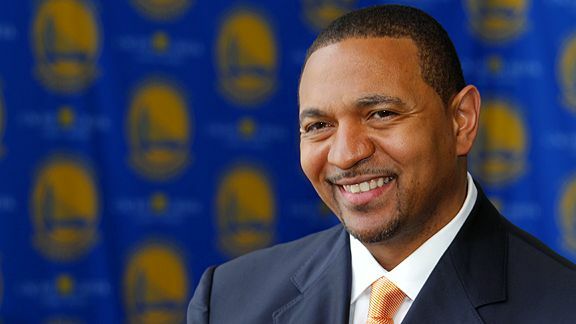 Mark Jackson has all the necessary components to succeed as the Warriors head coach. With the right players around him and the support of the fans, he could significantly improve this team and create the winning culture that every Warriors fan so severely desires. He has a lot to prove, but it is quite certain that Mark Jackson will remain a confident, calm leader throughout. This morning, NBA owners and players reached a tentative agreement, ending the 149-day lockout. The season will include 66 games beginning on December 25th with training camp and the free agency period beginning December 9th. Both sides met earlier in the week and then decided to have another meeting on Friday, which lasted for 15 hours. The new agreement would allow players to receive between a 49-51 BRI. If there are no significant schedule changes, fans will be able to see a thrilling triple-header on Christmas Day/Opening Day. The 2011-2012 season will open with the Boston Celtics playing the New York Knicks in New York, then the Miami Heat returning to Dallas to play the reigning NBA champions Dallas Mavericks, and then, lastly, the Bulls will play the Lakers at Staples Center. Before this deal can become official, both the owners and players need to ratify this deal. The owners of 15 of 29 teams (the NBA owns the New Orleans Hornets, which would be the 30th team) need to approve the deal. For the players, the union needs a majority out of the 430-plus members to approve the deal. This becomes a little tricky, since the players dissolved the union on November 14th. The players will need to re-form the union and drop the anti-trust lawsuit against the owners before the agreement can be voted upon. A lot has to be done before a vote can be taken, but hopefully this will all be done within a timely manner. Many players showed their excitement about the end of the lockout today on Twitter. Anthony Tolliver, who has been quite active in the lockout negotiations, tweeted, “Shoutout to the haters that kept tryna convince us to take a bad deal lol…this is not a GREAT deal but good enough to play. #iSTILLloveya.” Lebron James tweeted, “Man I just got up not to long ago and see we have a deal! I feel like my kids on X-mas day! So juiced!! Excited for the fans that stayed patient with us! #NBAlove.” David Lee tweeted, “GREAT TO BE BACK!!! Thanks to all the fans that were patient! Can’t wait to get back to the Bay and continue my preparations! #greatday.” It seems as if the majority of the players’ union will vote for the new agreement just so they can play basketball again. It would be in the owners’ and players’ best interest to vote as soon as possible and get the season started immediately. This lockout has gone on long enough, and it’s time for it to finally end. When and if this lockout finally ends, the Warriors are going to have a lot of preparation and re-structuring to do. First of all, the players will have a rookie coach, Mark Jackson, and a whole new system to learn in a matter of a few weeks. There will be a period after the lockout ends that will serve as “training camp,” but with a new coach, this team really needed a full summer to work out together and learn the new system. Time will be severely limited, and chemistry could become an issue. The rotation isn’t set at all and this particular Warriors team is so young to begin with that the bench is naturally very weak. The Warriors have to address some key issues once this lockout is over. No one knows what new provisions the new collective bargaining agreement will have and how much the new salary cap will be. Therefore, we can’t fully examine the Warriors’ options when it comes to free agency. However, we can determine what the Warriors should address once the lockout is over and what potential free agents they should go after. First and foremost, the Warriors have to address the center position. 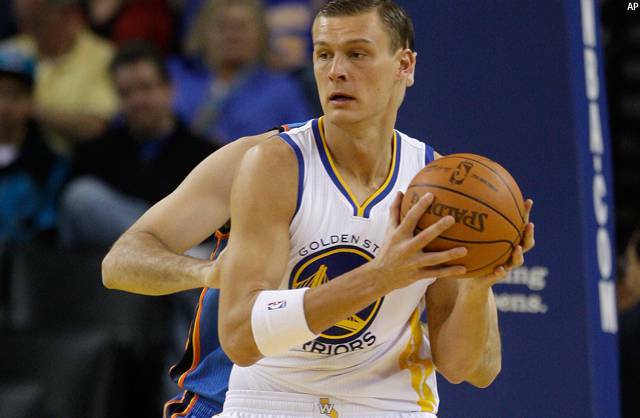 This is not shocking whatsoever, because Andris Biedrins displayed a whole new level of uselessness this past season. He was supposed to have increased his confidence and his overall game last offseason, but clearly that never happened. Yet again, he was timid to show any form of aggression because he’s afraid of shooting free throws. He was also injured for segments of the season, so he truly was the epitome of useless. The other options the Warriors have for the center position are all players that are generally thought of to be power forwards but have been “converted” to centers since the Warriors severely lack size in the frontcourt. Those players include Lou Amundson, Ekpe Udoh, and Jeremy Tyler. These players have not proven yet that they can be starting centers, so the Warriors have to assume that the center situation is of the utmost importance. In an ideal world, who could the Warriors target for the center position? Once again, we can’t exactly determine how much the Warriors will be willing to spend on free agents because of uncertainty about the terms of the new bargaining agreement, but from now on let’s just examine all feasible options. 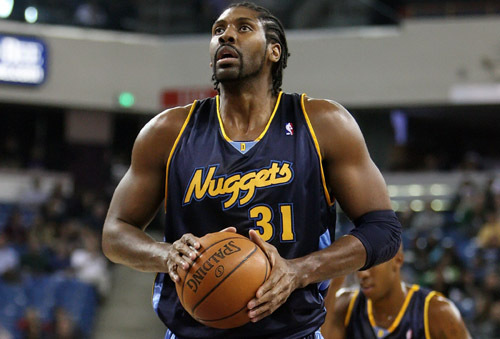 One of the top tier centers that will be available this offseason is Nene of the Denver Nuggets. Nene averaged 14.5 points per game, 7.6 rebounds, a .615 field goal percentage, and 1.0 blocks per game during 30.5 minutes per game. Nene’s rebounding numbers aren’t outstanding, but he’s an efficient scorer and is a strong defensive presence in the paint. Nene would be a great fit for the Warriors because he’d allow other scorers such as Stephen Curry, Monta Ellis, and Dorell Wright (and even David Lee) to get their usual shots, but he’d still chip in offensively and defensively without disrupting the natural flow of the game. He might require a longer-term, expensive contract though. The Warriors could also try to acquire DeAndre Jordan or Samuel Dalembert, who aren’t quite as talented as Nene, but are still solid center options. Jordan is known as an “energy guy,” who fights for rebounds and is a vicious shot blocker, and would be a valuable player to have on the Warriors. The fear with signing Jordan though is that he is a player who could easily be overpaid. He hasn’t fully proven himself in the league yet, so he shouldn’t receive a long-term, high-salary deal. Dalembert is a good rebounder, another fantastic shot blocker, and a seasoned veteran. Dalembert is also a great guy and a great leader, so his veteran presence would definitely be appreciated on a young Warriors team. His field goal percentage and points per game aren’t as stellar as Nene’s though. Another component that the Warriors will have to address is the third guard/backup point guard situation. This can be expanded to just a general improvement in depth. 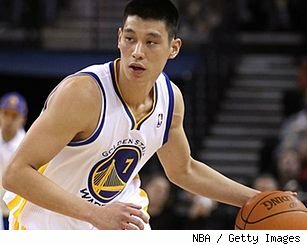 Jeremy Lin is extremely overrated by Warriors management and should not be depended on for backup point guard duties. The other option the Warriors have right now is Charles Jenkins, but he’s a rookie and we don’t know if he can fill that role yet. The Warriors first round draft pick this season is Klay Thompson who could be the third guard off the bench and he could back up both Monta Ellis and Dorell Wright because of his size and athleticism. However, he’s also a rookie and the Warriors cannot rely on a rookie to provide all the scoring off the bench. The Warriors have an extremely grim amount of depth on the team and that is one of the main reasons why they weren’t successful last season. A deeper bench will create a more well-rounded team and will help reduce minutes for the starters. The Warriors need to bring in rotation-type players during the free agency period that could play the 1-3 positions. In free agency, the Warriors should target players such as: Jason Richardson, Arron Afflalo, Sebastian Telfair, Shane Battier, and Tayshaun Prince. 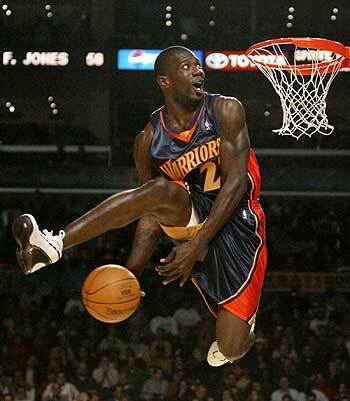 The Bay Area will always love Jason Richardson, and if he doesn’t sign with some championship-level team, he has said he’d love to return to the Warriors. He could fill the sixth-man role and can score quickly and efficiently, so he’d be a perfect fit. Arron Afflalo is an exceptional defender and a good 3-point shooter, but the Nuggets seem to want to keep him, so it might be difficult to sign him. 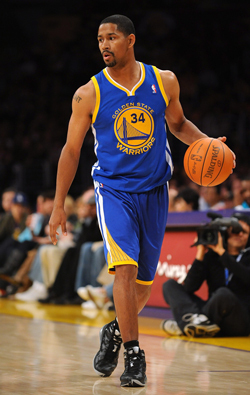 Sebastian Telfair could be an inexpensive free agent that the Warriors could sign, and his experience in the league would make him a much better backup point guard option than Jeremy Lin. Shane Battier, like Afflalo, is a top-notch defender, but he seems like he wants to be on a consistent playoff team. Tayshaun Prince is a solid small forward who is an efficient scorer, has won an NBA championship, and has nine years of experience. He might require a bigger contract than what the Warriors want to pay though. In the new collective bargaining agreement, there will be an amnesty clause, which will allow teams to waive a player and have his salary immediately come off the books instead of it coming off the books whenever the contract ends. The Warriors are one of the teams in the NBA that could benefit from this provision immensely. Based on their biased views of certain players’ skillsets and contributions to the team, Warriors management has immensely overpaid those players and given them horrible contracts (examples: Monta Ellis, Andris Biedrins, and David Lee, just to name a few). Although it would make sense to amnesty someone like Biedrins who has a very expensive contract and who is a player that should be waived, the Warriors often fall into the trap of being extremely illogical with their decisions. The apprehension towards waiving Beidrins would be that he’s the only true center on the roster, but if management was able to waive his contract, they could easily go after a higher-level center in free agency such as Nene. The Warriors could also use it on Charlie Bell who rarely plays, but still makes $4.1 million. However, it might also make sense for the Warriors to hold onto their amnesty clause and use it in a season or two. Clearly, the Warriors are going to have a lot to do in very little time. Once a new collective bargaining agreement is reached, it’s likely that teams will have about a month for free agency. This doesn’t give the Warriors a lot of time, but that one month or so of free agency is a key period that could really set the tone for the rest of the season. Warriors management needs to be as active as possible and try to acquire quality free agents that will address specific needs for this team. Mark Jackson will have his hands full as well. He needs to preach defense as aggressively as possible. The whole coaching staff has to establish a system that starts with defense and allows the Warriors to get out in transition and run the fast break. It all starts with defense though. Jackson should hold the players accountable, and adjust playing time based on who is playing the best, most effective defense. Jackson can’t just say he’s going to do this; he needs to execute it properly. The whole Warriors organization has to instill a new culture, and it all starts with Coach Jackson. If he can become the NBA-version of Jim Harbaugh and instill a whole new style of winning based on unstoppable defense, the Warriors will be a successful team this season and for many seasons to come. There is a lot to be done, but the Warriors organization needs to prove that they are a winning franchise with a culture that accepts nothing but greatness. The San Francisco Giants traded Jonathan Sanchez and Ryan Verdugo (a left-handed pitcher in the Giants’ minor league system) to the Kansas City Royals today for outfielder Melky Cabrera. This past season, Jonathan Sanchez showed a decline and wasn’t the same dominating pitcher that he was during the 2010 season. He was 4-7 this season with a 4.26 ERA, and he missed the entire last month of the season with a left ankle sprain. Sanchez had somewhat of a rocky road while with the Giants. He went from being a strong prospect at the starting pitcher position, then struggled with command and became a relief pitcher. Then he threw a no-hitter and regained his starter status, he continued his dominance all the way through the World Series title, and this past season he never seemed to reach that same level of dominance. Ryan Verdugo was 8-6 with a 4.35 ERA for Double-A Richmond this past season. 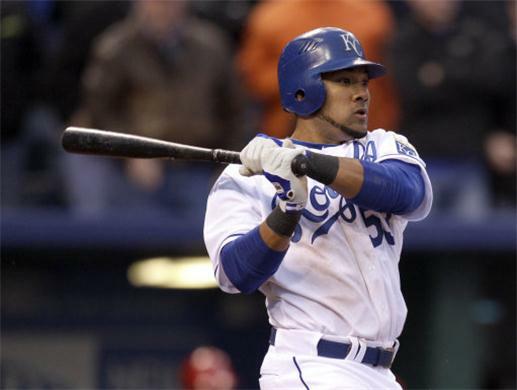 Melky Cabrera, in his first season with the Royals, hit a career-best .305, 18 home runs, and 87 RBI’s last season. Cabrera came into MLB with the Yankees and played there from 2005-2009. He won a World Series title with the Yankees in 2009. In 2010, he played for the Atlanta Braves before being traded this past season to the Royals. Cabrera could play center field for the Giants, but it ultimately depends on if the Giants retain Cody Ross or Andres Torres. However, Cabrera is a versatile athlete who can play any outfield position, so this acquisition gives the Giants many options. This is a significant trade for the Giants. No one knows if Cabrera will become a huge difference maker this upcoming season. However, this trade is significant because it shows that Sabean is not afraid to trade pitching for hitting. He has shown reluctance to do so in the past couple seasons even when our hitting severely needed an upgrade. Sabean first showed this new trend when the Giants acquired Beltran last season for our strongest pitching prospect, Zack Wheeler. This trade is more significant though because it involves an actual starting pitcher, not just a prospect. Sabean said that they have not decided if they are going to target another starting pitcher, or if they will just stick with Barry Zito. If the Giants want to win another World Series title soon, the hitting had to be upgraded, obviously, and this is the first move towards a stronger, more well-rounded offense. The Giants still need to answer the shortstop question and need to bring in a few more hitters, but this is a great start to the offseason. 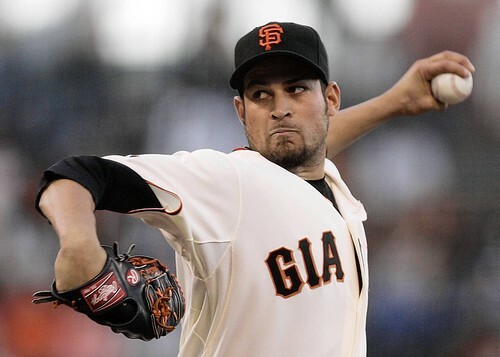 The Giants re-signed both Lopez and Affeldt and have now brought in a quality hitter. 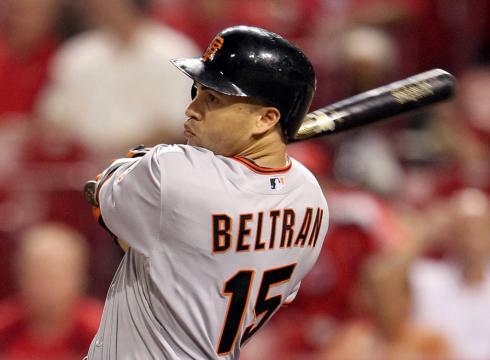 This trade might also signal that the Giants are unlikely to bring Carlos Beltran back. This statement might be a little too speculative, but the Giants simply might not have the money or the space in the outfield to bring him back. To read my opinion on if Beltran is worth bringing back read here. So far, the Giants have been tactical and smart in their spending and trades, so hopefully this trend continues throughout the rest of the offseason. Of all the exhibition games played during this lockout, the We Believe vs. Dubs game was one of the most highly anticipated. It featured some of the key players on the 2007 Warriors playoff team and some other former Warriors playing against most of the current Warriors team. Matt Barnes sponsored the event and proceeds went to his foundation Athletes vs. Cancer. This game was played very much like an All-Star game, simply because it featured countless dunks, alley-oops, and head-to-head battles. Also like an All-Star game, this particular game was very high-scoring with the current Warriors winning 158-153. Dorell Wright led all scorers with 41 points. Stephen Curry finished the night with a triple double including 34 points, 13 assists, and 12 rebounds. Other high scorers included Jeremy Lin who had 24 points, David Lee had 23 points, 16 rebounds, and 9 assists, Gilbert Arenas had 26 points, Corey Maggette had 34 points, and Anthony Morrow had 29 points.